An exhibition of members' work from Canada, the United States, England, France, Spain, Australia, Hong Kong and Singapore. 96 pages, 70 colour photos. 7.5 x 9.5 inches. Printed on Mohawk Options by Hemlock Printers, Vancouver. Introduction by Jose Villa-Arce and juror comments. In English and French. $25 perfect bound, plus p&h. An exhibition of members' work from Canada and the United States celebrating the 30th anniversary of the Canadian Bookbinders and Book Artists Guild (Toronto, 2013). 88pp, 65 colour photos; with an Introduction by Mary McIntyre and an essay by Diana Patterson. In English and French. $20 perfect bound in paper wrapper, plus p&h (see below). 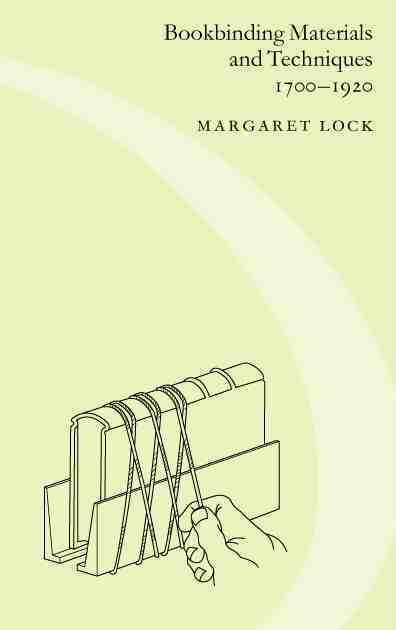 By Margaret Lock (Toronto, 2003). This book is a revised and expanded version of Two Centuries of Bookbinding: Materials and Techniques 1700-1900, published by CBBAG in 1991. At 160 pages and with 122 black and white illustrations, the new book is more than twice as long as the previous edition. The bindings reproduced include Canadian as well as European and American examples. Most of the photographs were taken by Margaret Lock, Diana Patterson, and Brian F. Summers. The diagrams were drawn by Sophie Nicol. The book was designed by Roy Nicol, and printed at Coach House Printing, Toronto. 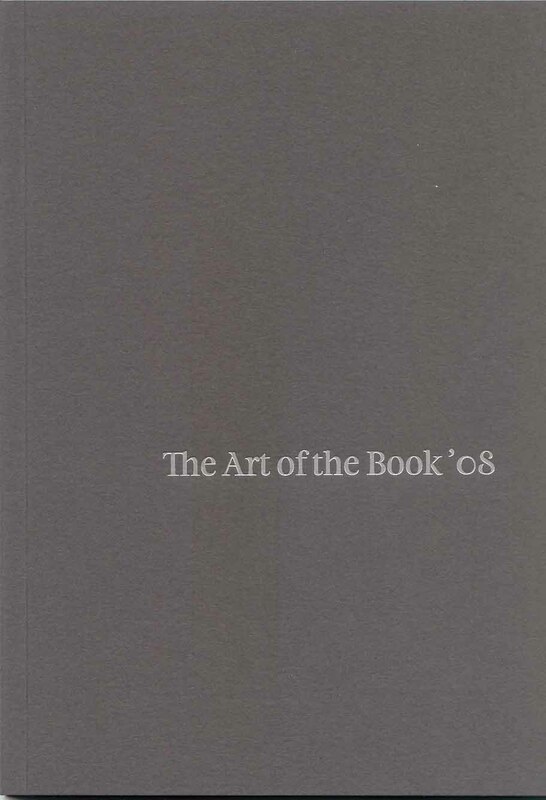 The book describes each step in hand binding a book, and explains the practical and aesthetic considerations that influenced these techniques. It then shows how all of these processes changed over the eighteenth and nineteenth centuries due to mechanization, specialization within the trade, the vagaries of taste, the availability and cost of materials, and developments in printing, publishing, and book selling. 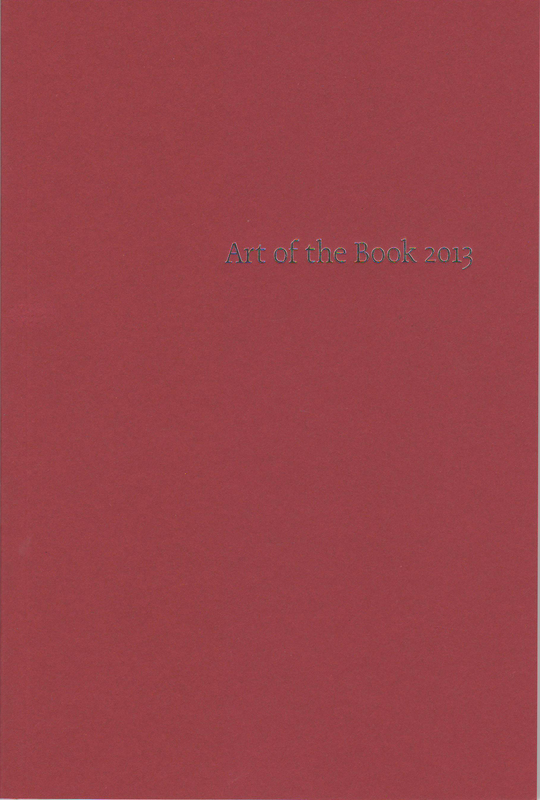 Bookbinders, book collectors, and all those who are interested in the book as a physical object will enjoy this book. 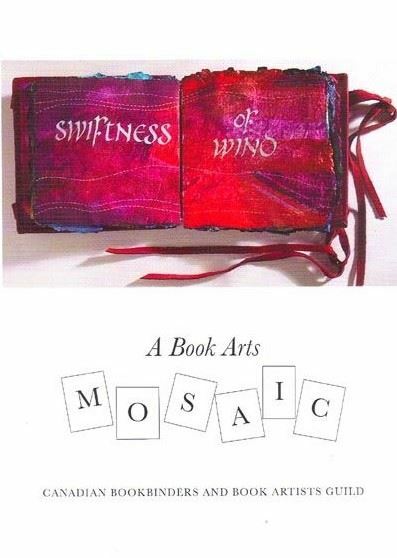 An exhibition of 26 works by 38 Canadian book artists. 38pp, 36 colour photos; with a Curators' Statement by Lise Melhorn-Boe. $10 saddle-stitched in paper wrapper, plus p&h (see below). Sale price: $5.00 plus postage & handling. An exhibition of members' work from Canada, the United States, England, and Japan, celebrating the 25th anniversary of the Canadian Bookbinders and Book Artists Guild (Toronto, 2008). 96pp, 73 colour photos; with an Introduction by Scott Duncan and an essay by Peter Sramek. In English and French. Sale price: $10.00 plus postage & handling. For payment by credit card, once your information is received, an AffiniPay invoice will be issued to your e-mail address. You can also pay by e-transfer to cbbag@cbbag.ca: please send an e-mail to cbbag@cbbag.ca with your name, address, and title(s) and number of catalogues you wish to order (if the name on the bank account differs from your personal name, please include that information). Please indicate that your payment will be sent by e-transfer and provide a security question and answer. To pay by cheque/money order (or submit your credit card information by mail), please fill out an exhibition catalogue order form and mail it to the CBBAG office.